The next version of MacOS is ready to be tested. Apple has just released the first public beta version of High Sierra, the next version of MacOS. The update brings improvements to many of Apple's native applications, such as Photos and Mail, as well as performance improvements underlying graphics and video encoding. If you want to run it, you can sign up for Apple's beta program and download it now. As with any beta version, the update is likely to have bugs, so Apple recommends that you install only beta software on a secondary device. It's also a good idea to make sure you have a current backup, in case something goes wrong. 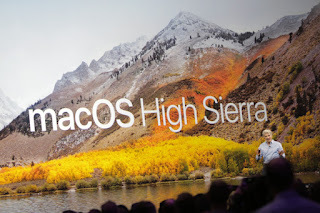 But, if you do not agree with the risk, there is much to expect in the High Sierra update, even if it is a refresh of the Sierra update last year. Apple has made significant improvements to the Photos application, with a renewed user interface and new editing tools; Safari, which can now prevent automatic playback videos; And Mail, which now comes with a faster search. There is also the new Apple file system, as well as improvements to Siri, Notes and Spotlight (which are also integrated in iOS 11). And, for developers and RV enthusiasts, High Sierra will be the first version of MacOS to support virtual reality.